Daniel Sale, left, of Sale Auto Mall in Kinston, N.C., and James Brady, Chevrolet's zone manager for North Carolina. 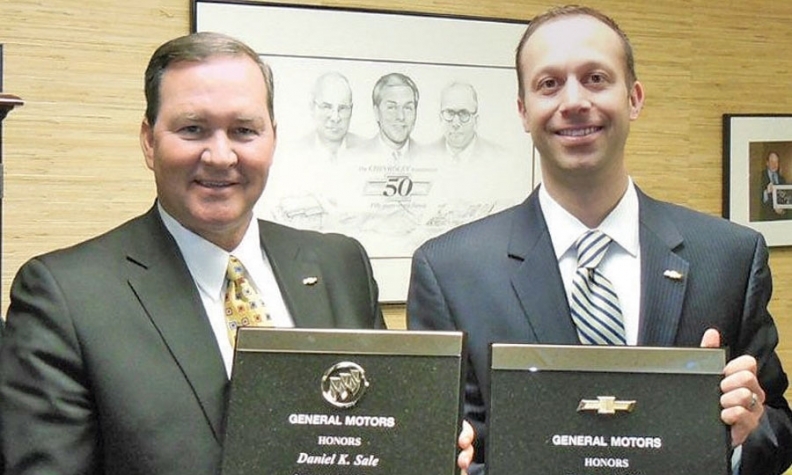 Daniel Sale, left, of Sale Auto Mall in Kinston, N.C., receives 25-year awards for Buick and Chevrolet from James Brady, Chevrolet's zone manager for North Carolina. 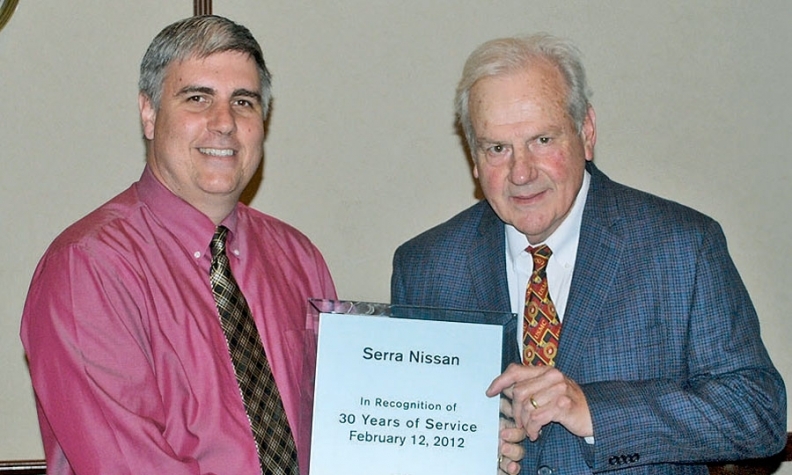 Tony Serra, right, of Serra Nissan in Birmingham, Ala., receives a 30-year award for Nissan from Mike James, a dealer operations manager in Nissan North America's Southeast region. 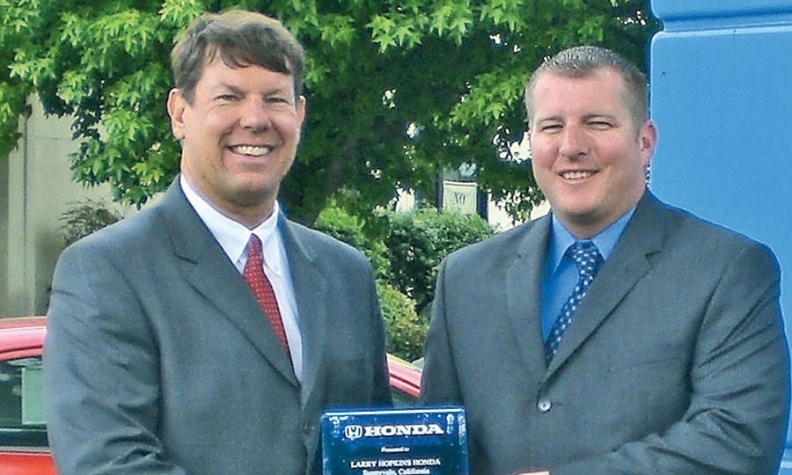 Ryan Hopkins, right, of Larry Hopkins Honda in Sunnyvale Calif., receives a 40-year award for Honda from Eric Van Olst, zone sales manager for American Honda Motor Co. in northern California. 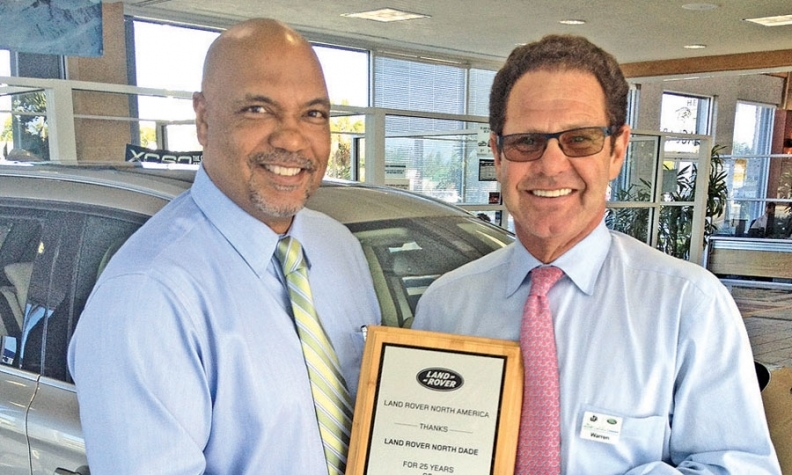 Warren Henry Zinn, right, of Land Rover North Dade in Miami receives a 25-year award for Land Rover from Burke Johnson, Jaguar Land Rover's South Florida market area manager. 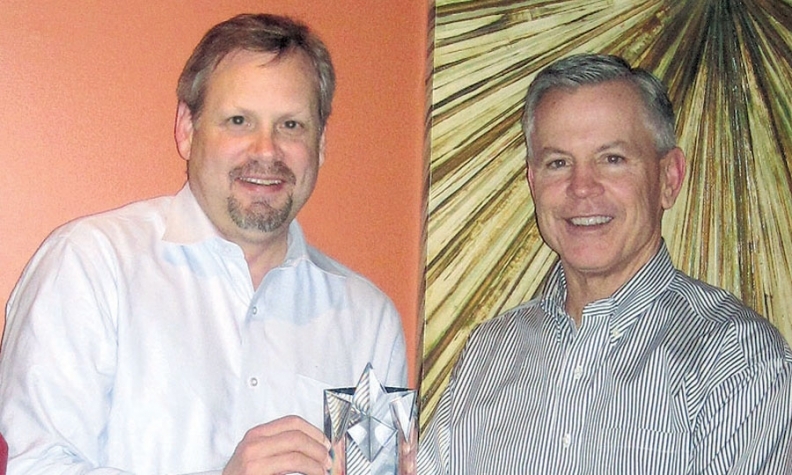 Kevin Riley, right, of Riley Toyota in Jefferson City, Mo., receives a 25-year award for Toyota from Tony Mueller, general manager of Toyota Motor Sales U.S.A.'s Kansas City region. 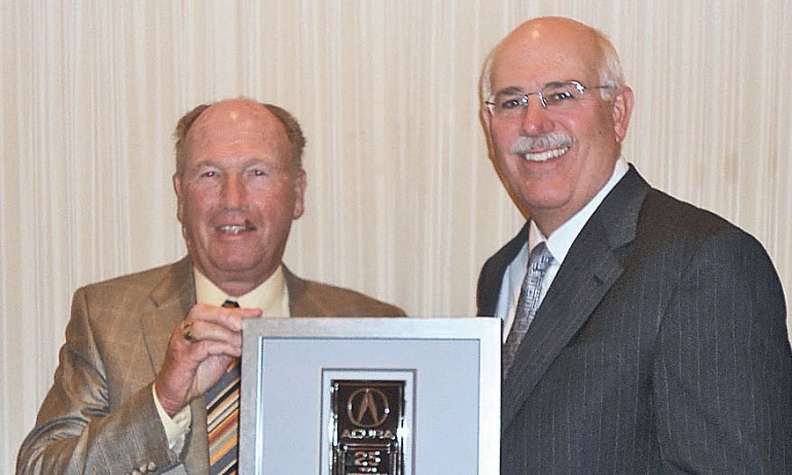 Archie Woodward, left, of Gold Coast Acura in Ventura, Calif., receives a 25-year award for Acura from Jeff Conrad, American Honda Motor Co. vice president in charge of Acura sales.